So where do the Sonics go from here? After Thursday’s shocking revelation (well, not so shocking really) that Clay Bennett and his partners were sending titillating e-mails to one another regarding relocating the team to Oklahoma City while denying it to everyone – including Bennett’s evil overlord, Commissioner David Stern. Gov. Gregoire stuck her finger in the air yesterday, saw the wind was blowing in a new direction, and, being a wise politician, firmly planted herself on the anti-Bennett side. While KING-5 failed to show it on their evening news, the Governor also decried the Holocaust, rainy days, and mosquitoes. The NBA is in full no comment mode, hiding behind the usual screen of “no comments on ongoing litigation” nonsense you usually hear from people who are forced to talk about items of which they do not wish. You’ll note, of course, that David Stern had no trouble discussing the Seattle situation – at length – plenty of times in the past, including the suit between the city and the Sonics, when it suited his interests. As they say, though, silence can be deafening, and Stern’s quietness in this instance speaks volumes about how bitter he must be. Being shown to be a sucker in the national press can do that to a guy, you know. 1. Prior to the Board of Governors meeting on April 17 and 18, Bennett and Stern meet to discuss the situation. A humbled Bennett is forced to kneel before his master. 2. The BOG postpones any decision on the relocation until after the court case is decided or a concurrent settlement is reached. 3. Prior to the case, Bennett reaches out to the city again with a new offer, considerably north of the $26.5 million he previously offered. The city tells him to go e-mail himself. 4. As the court case nears, Gov. Gregoire comes up with a letter pledging support for the missing $75 million in funding for the KeyArena renovation. No special session is called, but the letter is provided to the city, which in turn talks to the Group of Four who have offered to purchase the team. 5. Stern sits Bennett down, tells him he must sell, with the promise of the Memphis Grizzlies or New Orleans Hornets in the future for Oklahoma City. 6. Bennett and the Group of Four enter into negotiations to sell the team. After prolonged debate, Bennett sells the team and hightails it back to Oklahoma City, no longer the savior he once made himself out to be. His wife reduces his allowance and Clay is forced to deliver newspapers on weekends to make up the difference. And, somewhere, Howard Schultz breathes a great, big sigh of relief. Unfortunately, anonymous above is correct. Like any other issue, this too will pass for Clay and the NBA and the team will move between now and the end of 2010. Clay owns the team. As awful as it is, he and his partners can do what they want and they want to move to OKC. Besides, many have said that they overpaid by as much as $100 million. To sell and at minimum, break even, they would have to sell at a price point that would be hard for any reasonable group to pay. As a long-time Sonics fan, this is a terrible situation but it is reality. A different tact should be taken whereby everyone plays nice (local media, politician, Save the Sonics and other like groups, etc.) and hopefully the NBA execs will then feel good about pushing another team to Seattle. The critical, aggressive posturing has not really worked and has set back Seattle's effort to keep or get a team. I disagree that the posturing has not really worked. Were it not for the pushing, none of these emails would have come out, there would be no lawsuit between the city and the team, and the Sonics would be leaving at the end of the season. 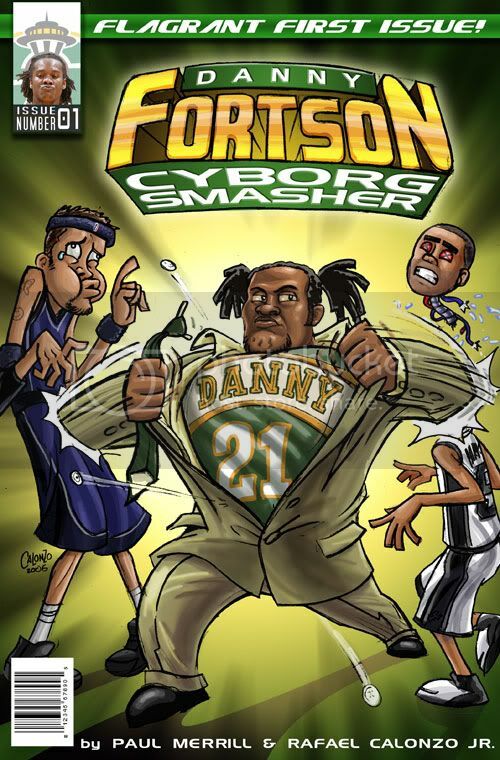 At worst, the posturing has guaranteed us another two years of Sonic basketball in Seattle. At best, it will force Bennett to sell the team and/or compel the commissioner to force him to sell. As a man of faith, I'm praying for this scenario to come to pass. I can't imagine it working out much better at this point. montanasupesfan here I've tried other ways to blog on but this seems to work. Gregoire is posturing but I think a couple of Lame duck seasons along with recent revelations and possibly more to come, will force the team to sell local. Thanks PJ for ensuing us a top draft pick but your days are numbered. for his great contributions. 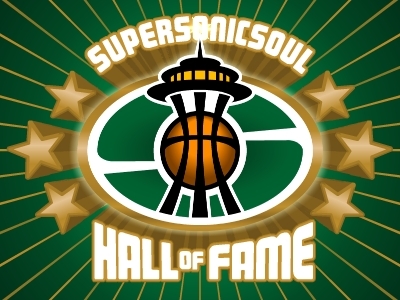 I believe we will keep the team and will support the Seattle supersonics resurgence for years to come. As a long time observer of the NBA, and long time believer that Howard Schultz and the Sonics organization was filled with douchebags, like for instance when Jerome James walked around with a garbage bag, a stupid story even about JJ then, the only way Seattle can keep the Sonics in Key Arena is if the Hornets or Grizzlies move there first. I've long believed that is the way. With the lawsuit that's possible if George Shinn wants to sell, or perhaps swap franchises with Bennett and his partners. Let me clarify the last paragraph: "The only way Seattle can keep the Sonics in Key Arena is if the Hornets or Grizzlies move there first" What I meant to say is that if the Grizz or Hornets move to OKC first. It never mattered whether or not the fans were compliant and hopeful...or if they were angry and belligerent. Schultz signed the Sonics death sentence. Bennett is carrying it out. Stern is selling it as being the inevitable result of a misspent life. It was ALWAYS a done deal and our whimpering about it had as much impact as a naive Mariners fan who held a sign saying "We want you to stay, A-Rod" had in convincing Scott Boras that money wasn't green. Schultz gutted the team and stripped a good deal of its character. Bennett and company finished off the job. We're not losing the Supersonics. ...and it had absolutely NOTHING to do with us.